Excellent advice from author Bruce Canfield. 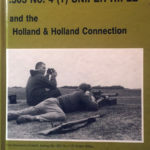 Money spent on reference books is repaid many times over in the savings when you do not buy a faked or otherwise incorrect rifle. As well, knowledge enables you to spot a gem that might be rare and that the seller did not do his homework on, and thus one can sometimes buy a gem of a rifle for well below market value. For example, if that “beat up old No. 4 Mk. I” might be special due to the 1931 date and maker, an in-service modification or rare early parts. 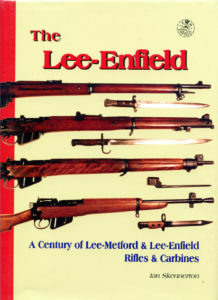 Here are some reference books on the Lee-Enfield rifles. Some are out of print and those are rare and can be very expensive. However, if that piece of information in an out-of-print book saves you from buying an $8,000 “lemon”, is the book’s $100 cost worth it? It is VERY IMPORTANT to use the correct terminology and to know your subject. A “No. 1 Mk. V” (scarce) is very different from a “No. 5 MK. I” (common). A Long Branch “No. 4 MK. I” (rare) is different from a Long Branch “No. 4 MK. I*” (common). 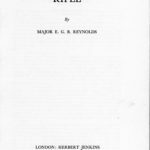 For Americans who are not used to the British numbering systems, think about if a collector was to offer you a “.30 calibre A1” or an “A1M1” as both are incorrect and could have various meanings. An M1A1 Carbine .30 is very different from a M1903A1 Springfield .30 calibre rifle! Occasionally Stevens-Savage parts were used at the Long Branch factory e.g. Stevens-Savage made early pattern Mark I backsights were installed on many Long Branch sniper rifles late in WWII at Small Arms Limited. In service if a part needed replacing, the armourer only cared if it was serviceable and in the British and Indian systems for example, replacement parts might come from any of the manufacturers. As well, rifles that went through Factory Thorough Repair (note it is Thorough not Through) (F.T.R.) usually have a mix of parts from different manufacturers as the rebuildiers only cared about serviceability of the parts, and cared neither about the maker’s mark, nor whether it was “early” or “late” production. Now we see many “restored” rifles which are previously sporterized rifles that are being brought back to factory original specifications. One needs to be careful not to undo valid alterations e.g. 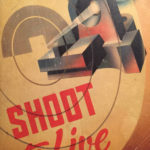 a 1930 No. 1 MK. VI TRIALS rifle body assembled as an emergency rifle in 1941. Not everyone does their homework and not all ensure that they find exactly the right parts and some parts are reproductions and indeed forgeries with false markings. Having said that, many collectors report difficulty in finding factory original rifles that have all of their own parts. As well, there have been many faked rifles (markings, added features etc.) to increase their value and many surplus rifles that have been modified over time. On Lee-Enfields, perhaps the most important thing to look for in collecting is matching serial numbers. Bolts were numbered to the body (receiver). 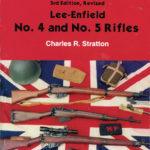 On a World War I Lee-Enfield one can have 5 serial numbers that ideally match. (Barrel, body, nose -cap, backsight and fore-end). Matching numbers is extremely desirable on sniper rifles and affects their value. 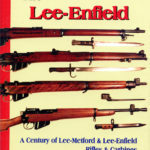 Renumbered parts were common on World War I Lee-Enfields as many were repaired in service or salvaged from battlefields and rebuilt. Old serial numbers would be struck out and the new serial number stamped into it. 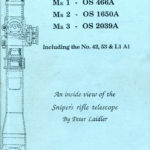 Sniper rifles usually have the scope and bracket (mount) match the rifle as they were carefully mated together. These might be changed in service due to loss, damage or upgrading, but the markings were changed in a special way. 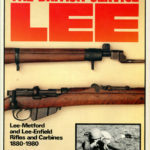 Sadly when thousands of Lee-Enfield sniper sets were sold surplus in North America later on, many surplus dealers did not bother to match up the scopes and rifles. The Internet is enabling us to match some of these up again. ALL books have errors in them in spite of the best efforts of authors and proof-readers. Be gentle. I like to use a pencil to make a correction in my copies. New information is discovered all the time, especially with the sharing of information that happens as a result of the Internet. “Anyone who reads a book then knows as much as the author” … well not really. They just think that they do. Remember that the author sometimes has file cabinets full of information that they could not fit into the book. 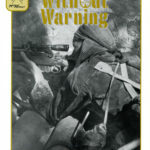 As well, the author continues to learn after the book has been published. Expect to find dissenting views and be prepared to analyse and then decide which is the most recent and best researched information. The books are listed approximately in order of usefulness. 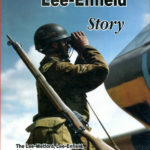 Skennerton’s books THE LEE-ENFIELD STORY and THE BRITISH SERVICE LEE are both excellent but have basically been replaced by his updated THE LEE-ENFIED book of 2007.